When you are planning to travel overseas, you will probably be looking for a bag that is sturdy, yet light; and preferably identifiable amongst the conglomeration of suitcases that are sure to pass you as you wait to pick up your own bag at the airport. On this, where is the best place to buy a suitcase/luggage bag in Sydney? Great question. I have brought both an overnight, and a larger trolley suitcase (Guess brand) at the Sydney Luggage Centre at Town Hall Square. An extensive range of luggage and great prices. brought my luggage at Strandbags eariler. Although the current Guess luggage I use is a discontinued line, I still recommend this particular outlet at Town Hall. Strandbags, Bag & Baggage and most department stores are having huge sales at the moment! I have seen good discounts at MYERS and Strandbags - nearly 70% off some suitcases. If it is backpacks that you are after, Kathmandu is having a good sale too. Hi Elle, I noticed the sales too, they're pretty incredible! I'm still looking into which ones would be best though. 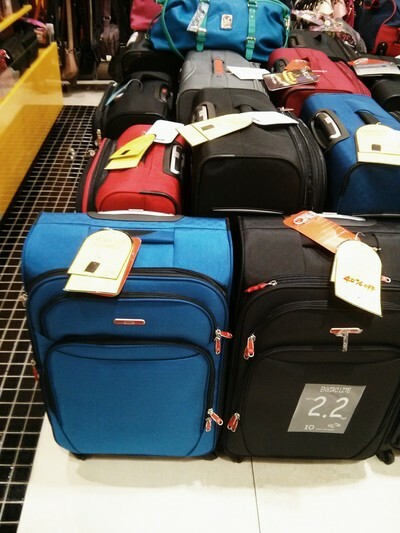 Victoria Station, which has locations all over Sydney, has a great selection of travel luggage in all sizes, styles and colours. They also have an online store which has great sales on at the moment, depending on your budget.